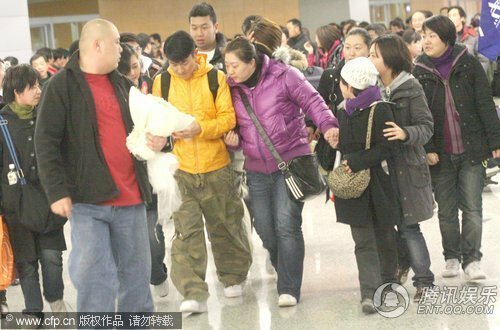 The shooting crew of New Shaolin Temple had moved to Shanghai for location shooting on 2 February 2010. 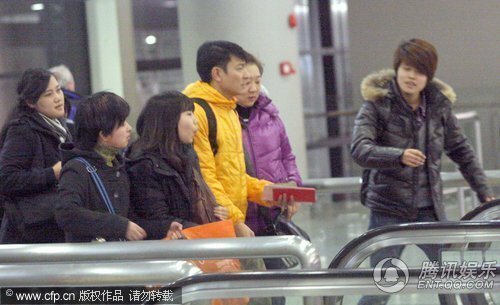 Andy Lau and Nicholas Tse took the same flight to Shanghai as they walked out of the arrival hall one after another. Fans gave Andy Chinese New Year presents while a smiling Nicholas was chatting with fans as he walks. A well-built assistant was helping Andy to collect flowers, when discovering reporter taking photographs, he used his hands to cover the reporter’s camera preventing the reporter from taking photographs.